This large shrub from the Canary Islands is soft and fuzzy. It is covered in gorgeous purple flowers with multi-colored bracts. Perfect as the anchor for a back corner of the garden, Canary Island Sage adds a lot of interest to any landscape. Uses: Ornamental, Hummingbirds, Butterflies This plant has been discontinued. You might try Pt. 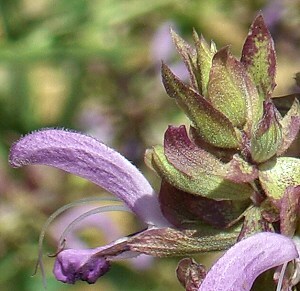 Sal Salvia.